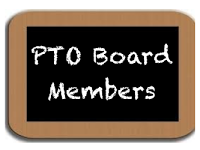 The McIntire PTO is dedicated to supporting our teachers and students in achieving excellence in the classroom. We endeavor to build a healthy and positive school community. Hello! My name is Amanda Miles, your PTO President. My husband and I have 5 kids and have been a McIntire Family for 9 years now. we can positively impact our students, families and teachers. My name is Amber Clevenger, your Book Fair Chair. My husband Ryan and I have 2 girls, Vanessa and Leah, and we have been a McIntire Family for 3 years now. This is my second year as you Book Fair Chair.Our mission is dedicated to supporting our teachers and student. I look forward to seeing and working with you at the Book Fairs and PTO meetings. My name is Katilyn Giboney, your Box Tops Chair. I have an amazing husband Jeffery and 2 kiddos: Cheyenne (10) and Savannah (3). We own a 300 acre farm outside of Fulton. My husband does logging, cattle and woodworking. I am a stay at home mom whom also runs a photography business and enjoys couponing. My name is Amber Wood, your Events Chair. attended McIntire from Kindergarten, and I have a 3rd grade son in Mrs. Valentine's class. I am very excited for all the new events we will have at McIntire.